Hearst Connecticut Media file photo. 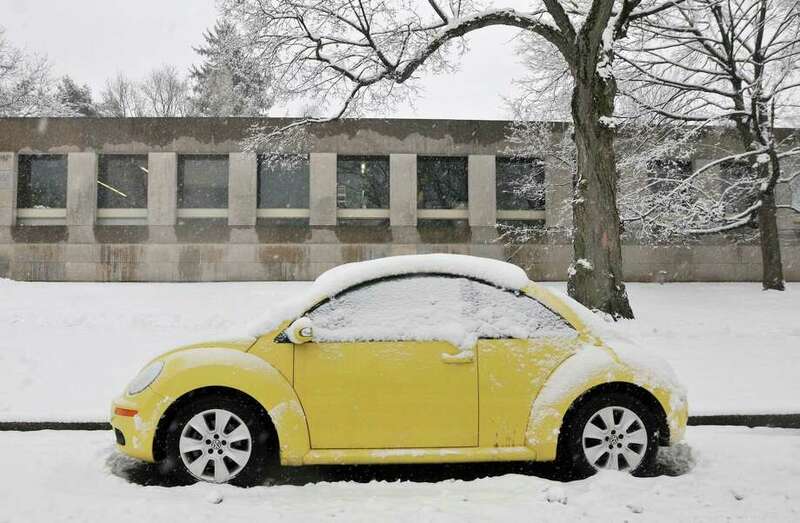 With the impending snowstorm, some towns and cities are preparing by issuing parking bans. The southern part of the state is expected to see anywhere from 3 to 6 inches of snow, with totals expected to be higher in the northern part of Connecticut. The followings towns and cities have issued parking bans ahead of the storm. No parking on snow emergency streets. Odd side of the street parking on all other roadways. The city declared a snow emergency to take effect at 7 a.m. Saturday. During the snow emergency, residents should move their cars off posted snow emergency streets. Since the 19th is an odd number day, residents should park on the side of the street with addresses that are odd numbers. Snow emergency streets are marked with white signs with red lettering. A list of snow streets can be find on the city’s website here. Vehicles left on snow emergency streets after the ban goes into effect will be subject to fines and towing. A full list of parking areas available throughout the city during the snow emergency can be found here. A snow emergency is being called for starting 11 a.m. Saturday. A level one snow emergency is in effect for the city, meaning no vehicles should be parked on city streets. UPDATE: 4:15 P.M. SATURDAY — The city’s parking ban has been canceled. The city has announced a parking ban in Zone A, downtown; Zone B, posted snow emergency routes; and Zone C, all residential areas. The ban goes into effect 12 a.m. Sunday. During a parking ban, no parking is allowed on both sides of the street in Zone A or Zone B and no odd side of the street parking is allowed in Zone C.
Parking is also prohibited 25 feet from any fire hydrant, intersection, bus stop or crosswalk. Residents are urged to utilize off-street parking as possible. A snow emergency was declared. Off-street parking should be utilized when possible. Alternate side of the street parking will be in effect as of 6 p.m. Saturday through 6 a.m. Monday. A parking ban will be in effect Saturday from noon through the duration of the storm. During the ban, parking will be allowed on the odd-numbered side of the street.